With about a million knee and hip replacements performed each year in the U.S., physical therapist Paul Gardner says that it’s more important than ever for future joint replacement patients to create the best possible outcome for themselves after surgery. They can actually do this by beginning rehabilitation before surgery. 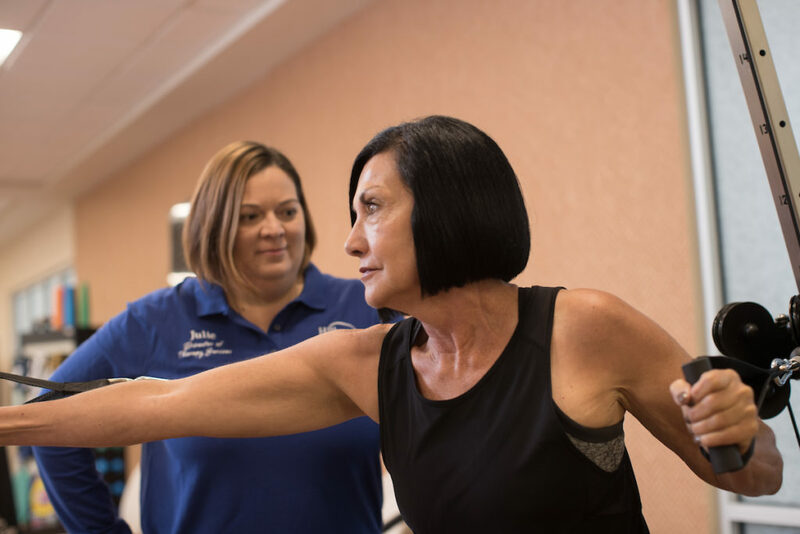 It’s called prehabilitation – a process during which a physical therapist prepares patients for joint surgery through a strengthening or range-of-motion program that helps set the table for a quicker and more successful rehab and recovery following the procedure. “There is research indicating that some individuals who have greater strength and better range of motion will have a better outcome after the surgery,” says Gardner, Administrator of Community Rehab for Hillcrest Rehab Services. Strengthening the body: Establishing and executing an exercise program developed by a physical therapist and tailored specifically for the patient can help strengthen the body and integrate neuromuscular pathways before surgery. This can result in a shortened hospitalization stay and reduced recovery duration. Calming the mind: Prehabilitation is an opportunity for a physical therapist to prepare someone mentally for surgery, so they know what to expect. This can reduce pre-surgery stress levels. Education and knowledge can decrease the amount of stress and fear leading up to the procedure. Accelerating the recovery: A portion of the prehabilitation process includes practicing exercises needed post-surgery, as well as modifying the home and becoming familiar with adaptive equipment. This may include rehearsing with a walker, crutches or cane in and around your home, and making modifications such as cleaning up clutter, increasing light, reorganizing the kitchen, or modifying a shower or toilet. The physical therapist may also discuss ways to manage pain after surgery through positioning, ice, and massage techniques. Gardner says that it’s a good idea to reach out to your support system and organize a plan for after surgery, such as how to get the groceries or transportation to rehab. Since many aging adults undergo joint surgery, the reality is that there are other chronic conditions to consider such as diabetes, hypertension or congestive heart failure. As specialists in aging adults, Hillcrest Physical Therapy is able to understand the conditions that are more prevalent in older adults, and to evaluate a person’s health regardless of the perception of age. To learn more about how prehabilitation can prepare you for surgery and improve rehab after the procedure, contact Hillcrest Physical Therapy at (402) 682-4210.